Now that you’ve cleaned out your pool bag and put away your summer clothes, it’s time to dive head first into fall at Arcadia Run! Besides your daily pumpkin spiced latte, there are several other ways to celebrate the best of the seasons. 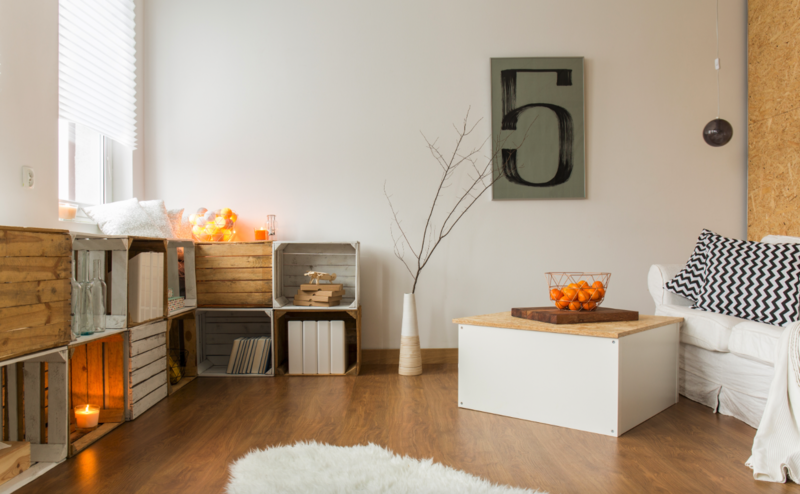 If you’re looking to freshen up your apartment home this fall, whether you want to be more organized or you’re looking to spruce up your interior décor, there are several emerging trends that will make your apartment #goals. Check out some of our favorite trends that we know will look great in your new apartment home here at Arcadia Run! Darn, you knew you should’ve kept that quilt that Great Aunt Susan gave you years ago. Whether you want to replace your duvet or comforter, or just want a big blanket to wrap around you, quilts are coming back into style this fall. The different patterns and colors will give your apartment a cozy feel for those chilly nights spent watching Hocus Pocus and munching on candy corn. Man’s greatest question: What exactly is millennial pink? And does blush fall under that category? If so, we don’t mind. As a soft, light color, blush goes well with the bold colors of fall, such as red, gold, and brown. Add in pops of blush around your apartment, such as a pillow, blanket, or even bath towels. If you want to channel your inner Elle Woods, add some blush to your wardrobe this fall. That goes for you too, gentleman! While we’ll never give up our beloved copper Moscow mule mugs, brass is seeing a resurgence this season. We don’t recommend going all out with an ornate brass chandelier, but subtle touches of brass around your apartment are a great way to add some sophistication to your décor. Put some of your favorite pictures from the summer in brass picture frames, or use brass votive holders for those fall-scented candles you can smell from down the hall. If you’re not sipping your pumpkin spiced latte out of a matte black travel mug, are you even drinking a PSL? Matte black is a great way to show your edgy side without getting too witchy this fall. Try placing matte black vases on your end tables or your counter, perfect for holding those fall flowers. If you really want to impress guests, use matte black silverware and dishes when having dinner this fall. No, it’s not a trick. Texture is one of the best parts of the fall season. From smooth apples, to soft blankets, there are several ways to highlight the fun textures of the season in your apartment home. Bring the colorful trees inside with fake branches and leaves for a stunning centerpiece, or pile different blankets (wool, chenille, cashmere, etc) in a basket. For the DIY-ers out there, welcome friends into your home with a festive fall wreath on your door, made out of burlap or ribbon. Let us know what fall design tips worked for you this season! Learn more about all that Arcadia Run has to offer at www.arcadiarun.com. The days are getting shorter and the leaves are changing colors…it must be fall at Arcadia Run! Now that classes have started and the kids are back in school, it’s time to think of some fun activities to get you through those tough first few weeks. Luckily, Arcadia Run is just minutes from some of the best fall events and activities in the area! Check out some of our top picks for local events happening this fall near Arcadia Run. Discover the rich culture of the area’s Latin American communities at the Manassas Latino Festival! The festival will highlight food, music, and art, and will even have activities for kids, such as piñatas! Eat delicious food and listen to live entertainment all afternoon at this free event in Old Town Manassas. Rain or shine, its time for a glass of wine! Or craft beer, or local distilled spirits…the choice is yours at the Manassas Steins, Wines, and Spirits Festival. Listen to live music while discovering your new favorite local brew or wine. This year is sure to be one for the books, as the event is introducing the Oyster Tent, with delicious freshly shucked oysters. Whether you’re going for the first time this year or have been going for years, the Fall Jubilee is a Manassas staple! There’s fun for both kids and adults with over 100 crafter and community booths, live music and entertainment, AND it’s free. For the competitive souls out there, not only is there a pumpkin pie baking contest, but there is a pumpkin pie eating contest. If you’re over 21, be sure to check out the Beer & Wine Garden on the lawn for local beer and wine samplings. 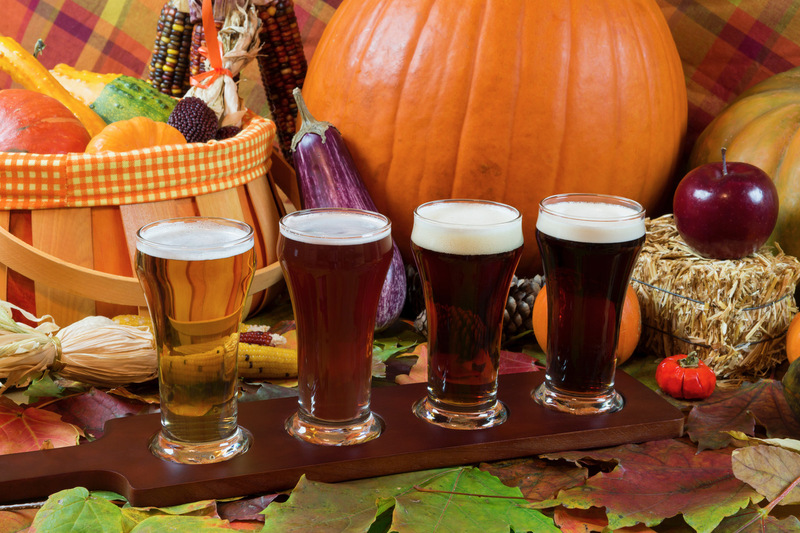 Kick off pumpkin beer season with a trip to Bad Wolf Brewing’s 4th Annual Fall Festival! With live music, food trucks, local vendors, and of course plenty of beer, you won’t want to miss this party. Even better, Bad Wolf will be releasing the coveted BadWolf Pumpkin Saison and a specialty cask just for the event. Kids are also welcome, so get your tickets now. You’ll be able to die a happy man (or woman) after seeing Thomas Rhett at WMZQ Fall Fest! Jam along to all of Thomas Rhett’s hits, plus hear music from opening acts Dan + Shay, and Walker Hayes. Jiffy Lube Live is right down the road from Arcadia Run, making it easy to Uber home after a day of tailgating. Which event are you looking forward to this fall? Check out everything Arcadia Run has to offer by visiting us online at arcadiarun.com. Apartment Trends to Try Now!